← Did you know? The coloured race ages better than other races. Let me tell you about this woman called Lara. I won’t claim to know too much about her as I haven’t had the pleasure of her company for a while, but I once worked with her in an advertising company many years ago. What mostly struck me about Lara was her quiet strength, endurance and tenacity. She stood out like a sore thumb at the office. She never indulged in office gossip or drama and she was able to manage people effectively without having to kiss any buttocks. She was a keen observer, emotionally available, understanding, gave great advice and studied everything around her, constantly gathering knowledge humbly. She also worked very very hard and I never heard her once complain. This is her story. The story of an extraordinary woman who slowly but steadily climbed up the rungs of success, making us remember the old adage that goes – ‘Slow and steady wins the race.’ Or as the previous extraordinary woman Fumnanya Attah said – ‘Echidime’ – Tomorrow is pregnant, never look down on anyone. LARA: I am a free spirited person who believes anything is possible with the power of focus as the enabler. NEKITA: What is your strongest quality? LARA: Curiosity and in-depth research abilities – this helps me solve problems and enables me to proffer lasting solutions to issues. NEKITA: What is your weakest quality? LARA: Getting overtly emotional and inquisitive. NEKITA: What do you do now and what do you hope to be doing in the next 5 years? LARA: I currently head the business development and strategy unit of an integrated marketing communications firm. I have been in the business of birthing and nurturing brands for over 11 years now. I am a serial entrepreneur. In the next five years I see myself birthing businesses and teaching women the principles of managing sustainable brands as a form of empowerment for all ladies across Africa. 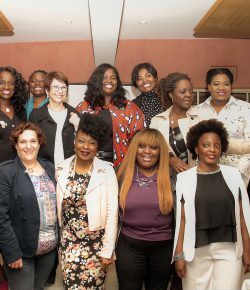 This platform will help create successful CEO’s (African women) in the business world. I also have a passion to coach young ladies of a marriageable age. To help them get ready and independent enough to marry someone else. In this society, a lot of young people get either pressured or carried away with the euphoria of the wedding party and they get into marriages when they are not yet emotionally ready. I have identified a gap in the society on women’s mental health and sanity. There are lots of depressed ladies out there who are suffering in silence. The major cause being unhealthy relationships and marriages. There are other causes too but these are the main issues. You find lots of women stuck in these relationships fraught with emotional abuse. In this part of the country there is a lot of emphasis on physical abuse in relationships. Emotional abuse is also on the rise day in and day out and lots of people don’t know it or don’t know how to handle it. I strongly feel and know that some of the causes can be traced back to untimely marriages and a loss of independence/ self worth. I should be done with my certification by the end of the year. Coaching young ladies is something I am passionate about in order to achieve something sincere and life changing for my fellow women out there. The pressure is hot. There is external pressure from society and family and there is internal, personal pressure. Some ladies have lost their identity and some never even found it. They allow themselves to be pressured into marriage or into what they don’t want. most people feel that if you are a certain age, then you are ready for marriage. My coaching will help ask relevant questions so you know if you are mentally and emotionally ready for marriage. I want to help women discover the kind of man that they should be looking for and to identify the values that they cannot compromise. It promises to be a joint exercise that will be as interactive as possible. We will bring in close family and friends if we have to and it will be a journey of self-discovery and independence. NEKITA: Those are very impressive future goals. Do I see a reality show in the making in terms of your advisory/counseling services? LARA: Why not? Who knows? Anything is possible but I wouldn’t rush into it as Nigerians are iffy about showcasing their issues in public. NEKITA: So at the moment, what does it take to head the business development and strategy unit at your current place of work? LARA: I still work on a marketing communications platform, but I let my campaigns be driven from the public relations platform. I plan PR campaigns, which focuses on image creation for brands. This goes beyond marketing products and services. It is also projecting and building the image of brands – regardless of the type of brand. I also plan and execute events with a unique touch of branding. What I do now has just taken marketing communications a notch higher by laying emphasis on how the public connects with all that has to do with a brand without necessarily marketing the product itself. This type of image building helps the brand appeal emotionally to the public in a subtle way. We currently have lots of campaigns in the pipelines that we will soon start to expose for some of our brands. NEKITA: How were you able to land this job? LARA: I wouldn’t say getting this job was as difficult as taking the decision to take the new role and leave my former place of work. I did not apply for the job. I just got a call from someone saying that another friend and a former boss had recommended me for the position and voila. They needed someone who could manage the ‘running’ of an agency and who could also help train new intakes and that was it. LARA: My major career milestone was being able to anchor a multi-level awareness and fundraising campaign for an NGO to promote behavioural change and education of the communities in Nigeria on Endometriosis as a defect affecting ladies world -wide. It was not for a profit multi – and it was for a cause that I’m very passionate about. NEKITA: Please educate us. What is Endometriosis sis sis? LARA: Endometriosis is the development of uterine-lining tissue outside the uterus. Symptoms may include abdominal pain, heavy periods, and infertility. About 30% to 40% of women with endometriosis have some trouble conceiving. The reason for this is not well understood, and scarring of the reproductive tract, or hormonal factors may be involved. It usually occurs in women between the ages of 25 and 45. Treatment options include pain relievers, hormones, and surgery. The symptoms don’t always show on time so a lot of women don’t even know they may have this on time, and that’s dangerous. That’s one of the reasons why it’s important to educate women about such illnesses. NEKITA: How did you get into this communications and branding industry in the first place? LARA: I started this journey that is my career in 2006 at Bates Cosse. I was dumped into the traffic department as my predecessor left almost as immediately as I joined. Without any prior experience in advertising or any real job outside of NYSC I had no training. I was a green horn. It was like being thrown in the middle of the ocean to either drown or swim. Back then, being a traffic officer in advertising was seen as being the most basic or menial job especially for new entrants in the industry. However, I took the job a notch higher and did not allow myself to be discouraged, although there were days when it could be tiring and I felt that I needed more. In my agency then, apart from doling out briefs to the some times annoying creative guys, there was the project management side to the job which I highlighted and that gave me the jitters. So I started looking forward to the finished art work when we had to do things like auditions, talent hunts, costuming, make up, photography, welfare, training and so on. This part changed the game. So beyond taking briefs from client service to creative/production and back, there was that part that was challenging and fun. It made my heart pump each time. I have been privileged to bring campaigns to life several times. I get the reward each time I get commended by my clients. Great campaigns I’ve worked on include – Virgin Nigeria, Pharmadeko (Ms Lite) UBA, WEMA bank, Interswitch, Cowbell, Loya,milk, Office brand calendars, Corporate brochures, just to mention a few. I had to change the perception of the traffic department and I began to help my agencies attract ‘newbies’. We started calling my job (Later turned department) – the Project management and Business processing unit. So this helped trainees understand that they had to work more and bring more to the table beyond the usual work flow scheduling and timelines tracking. I will that to be well rounded in an IMC company – the traffic department is a good place to start. The department gave me the opportunity to try my hands on jobs in all the units in an agency from copy writing to art direction, to production and so on. It gave me a broad view of what it entails to run an agency. I believe my ‘I can do’ spirit and willingness to take on more has helped me this far. I rarely had a time that I would say I was too busy to help in other areas other than my designated unit. Production can either make or mar a great concept. I do not believe a concept is great until its been produced. So with this in mind I take production/executions seriously. I make sure I am involved from the beginning with the creative team. I interview them and put myself in their shoes. I am always steps ahead. If you asked me for a light pink shirt I would give you 3 other pasted colours just in case. It was very painful to leave BatesCosse, however I needed to impact somewhere else. There was this hunger in me that urged me to make a change in another place even if it were smaller than my place of work. I had seen it all and done it all in Cosse. I needed a more challenging terrain which was why I joined a place where I could see and handle things from a different angle. NEKITA: So how do you keep up with work and still manage the home front? LARA: I have a very supportive family. They are supportive of my work at least 90%. There have been times when they have been upset because of my unavailability. For instance when I’m out of town for a few days. An example is of once when I was away on activation for a few weeks. It was for a new product launch on campuses pan Nigeria. The route plan schedule was back to back for over a month. At such times my hubby could get a little upset, but as soon as I start ‘gisting’ him excitedly on the scheme of projects, our achievements and impact on the audience, he eases up. My family finds what I do exciting and it helps a bit. I can’t say it’s all a bed of roses especially when I have to deal with child minders and all. Sometimes it’s so tasking I barely have the time to take care of myself as I am sort of at the service of everyone else. My hubby, the kids, the clients…. The fun is in the victories. It takes the stress away. NEKITA: What’s your advice to fellow working mothers out there who find it difficult to balance the work/home life? War Room is a faith based movie. It showcases the fact that success doesn’t come by accident. Even if you stumble on success in any sphere of life, you would still have to make a conscious effort to either keep it or lose it. The War Room is symbolic of the time-outs you have to take in order to focus on changing a particular unwanted situation in life. The power of focus and affirmations. What you do in your spare time is equally as important as what you do in your working time. LARA: I am greatly inspired by Lisa Nichols and Oprah. It’s a tie actually. I like the hope that their stories give especially to women who are in an environment where the power of a woman is undermined. NEKITA: What is the greatest lesson you’ve learnt in life? LARA: I have learnt not to wallow in self pity or to worry too long over matters. All I do is ask myself if it will matter to me in the next 6-7 months and if the answer is yes I try to see if I can help it, but if the answer is no then I let go. This has helped me put my emotions under reigns and I have been able to achieve more. NEKITA: What has been your greatest accomplishment in life? LARA: My greatest accomplishment in life is the realisation of the fact that focus on God can help me achieve anything that I want in life. Then I will say that my children give me the greatest joy. NEKITA: What has been your major obstacle in life and how did you overcome this? LARA: The greatest obstacle would be trying to please difficult people especially at work. I used to get picked on by most narcissists at work. I exhume this people pleaser aura that used to make me a target. I had to continually work on myself to overcome this. It wasn’t easy though. NEKITA: Everyone has a sense of fashion and personal style, what’s yours? LARA: I am a casual/ subtle power dresser, although comfy comes first especially in this hot weather. I like to power dress in African fabrics that are comfortable and airy. NEKITA: What is your most unique ability? LARA: I’m analytical and practical. My friends would say I am down to earth. NEKITA: Which movie inspires you the most? LARA: I like WAR ROOM a lot. It depicts the feats and hurdles you can overcome if you focus. I am inspired by Denzel Washington. I like his acting. He puts all his energy into his roles. I’m always inspired by the energy he exudes – fiction or non fiction. NEKITA: What is your life slogan? LARA: Do your best, then leave the rest. NEKITA: If you had the power to change the world in one way what would you do? LARA: I would take out rich people who take advantage of the poor. Bosses who lie and use employees for their personal gains, selfish people, difficult people. NEKITA: Thanks so much Lara. LARA: Thanks for having me Nekita.